A beautiful and affordable gift from Scotland. 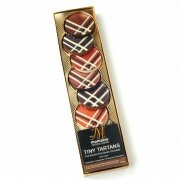 Ideal for dinner parties, gifts or personal indulgence. 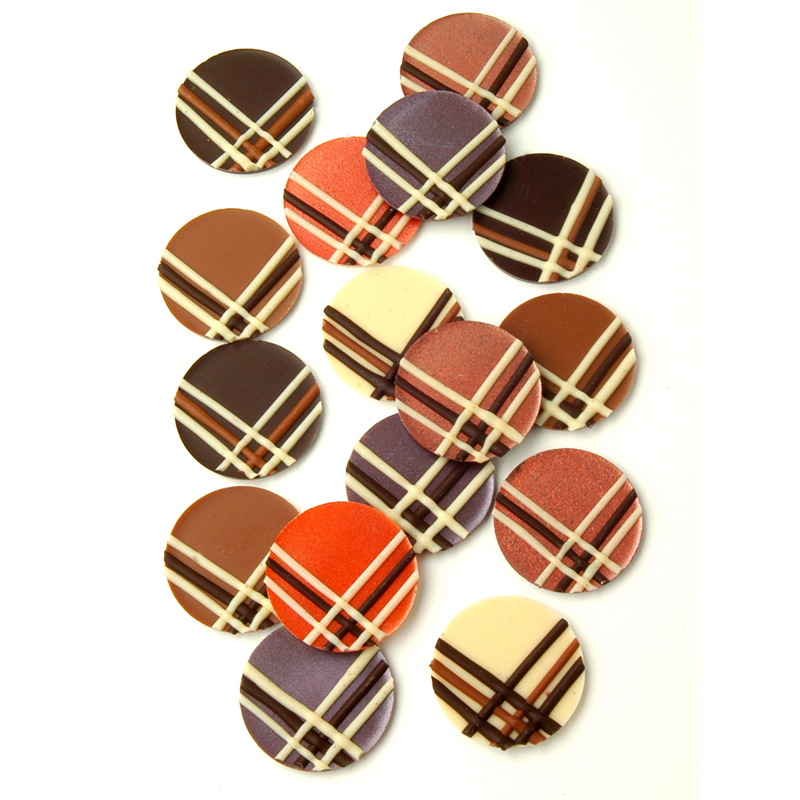 16 dark, milk and white chocolate discs. 8 glittered and 8 plain, all with tartan pattern. Box contains approx 60g. Also available in boxes of single chocolate variety i.e. all dark chocolate, all milk chocolate or all white chocolate. Box contains approx 60g.